Day 13 It just didn’t happen…. So the blog was rather quite on Thursday and Friday because I just didn’t get anything made. I didn’t make it to the store nor did I have time to make anything. Thankfully today was different. I made 4 recipes. I’m trying to make up for lost time! When I got to the store to get my ingredients for the recipes I discovered a super deal on cereals. I know, I know, it’s not very healthy but it’s what my family eats right now. I got all 12 boxes for a total of $1.56!!!!! Highlight of my day. Less than 15 cents per box!!! 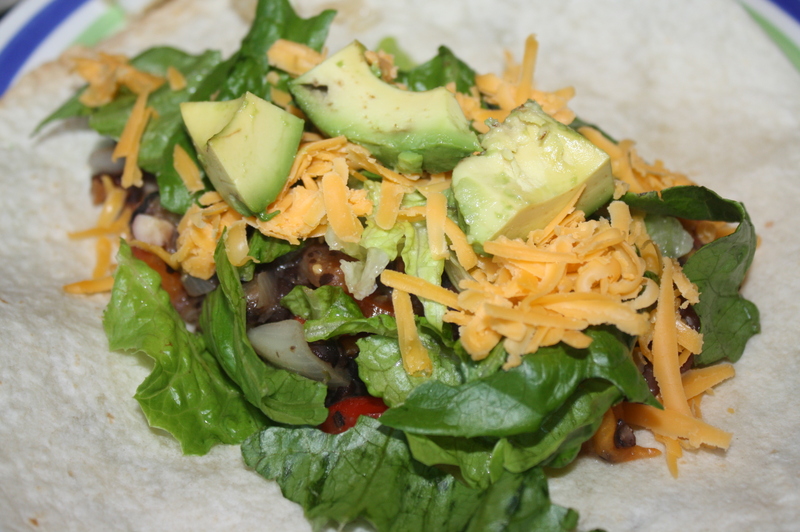 Black Bean Burritos pg. 246 Good. For some reason my filling was a little runny. Not as strong of citrus flavors as I was expecting. 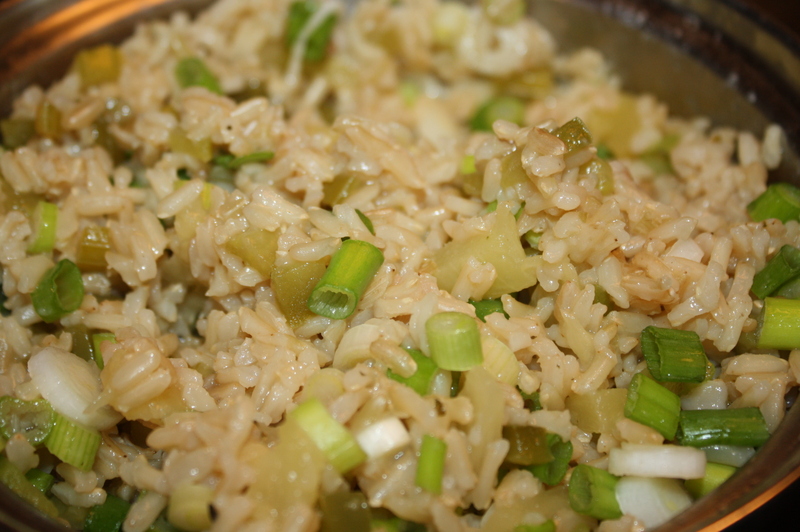 Hawaiian Rice pg. 268 Nice sweet flavor! The honey and pineapple added an interesting twist. Sweet Potato Salad pg. 164 It was good. I had never thought of eating sweet potatoes raw. I loved the Italian Dressing I put on! Italian Dressing pg. 181 I really liked this dressing. Never thought of using vegetables as a base for dressing. I’m going to keep it in mind for future recipes. 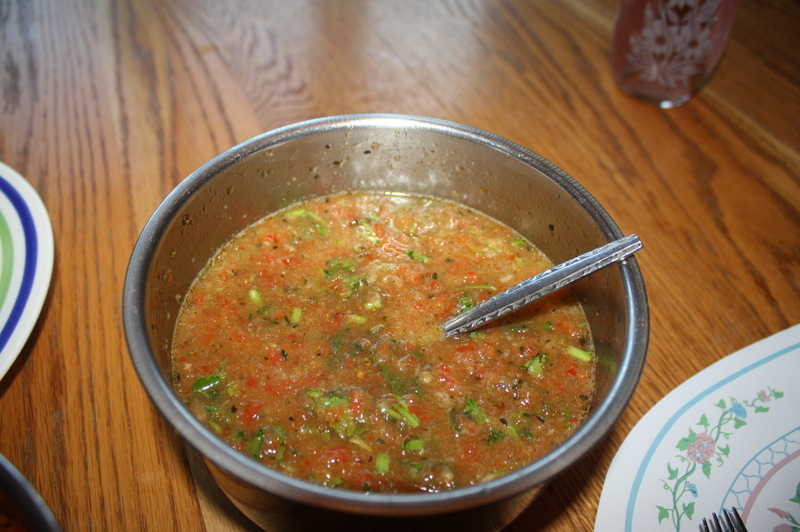 Seed peppers and cucumber, chop celery into chunks, and put all ingredients except parsley into blender. 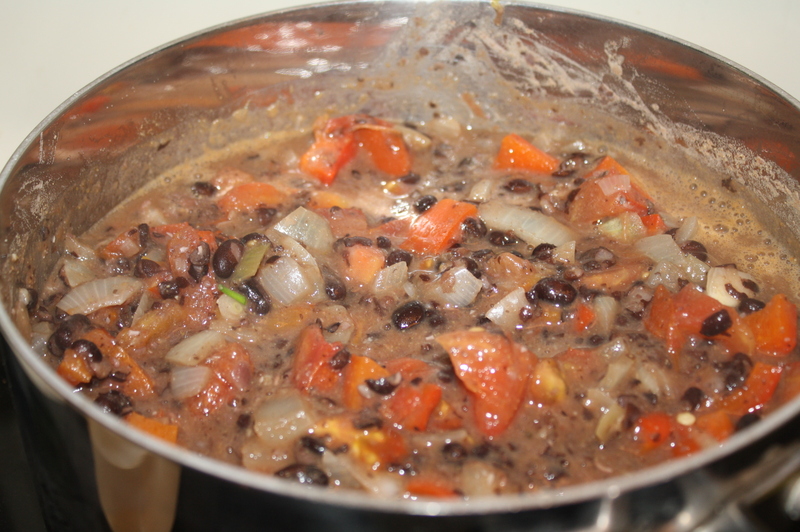 Blend until desired consistency is reached, adding soup stock to thin. Add parsley.